Don’t go on a cruise before you read this! 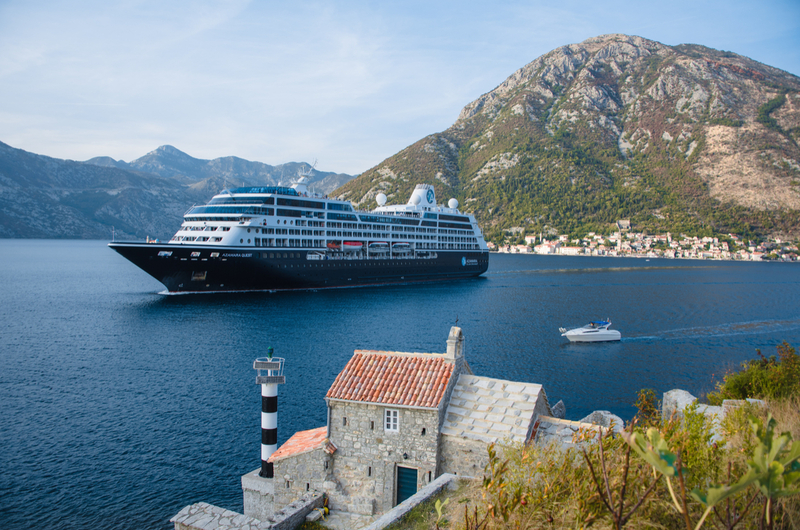 There are probably more things you need to know about cruising before you actually go on a cruise than I can fit into one article, but for all you cruise newbies out there, I’m going to list a few things you should consider that might save you time, money and effort. 1: Check what is and isn’t included BEFORE you set sail. Not everything is included in the fare price. My handy guide (The hidden costs of cruising) might come in useful for this. 2: Check the cost of going online. The internet at sea can be very expensive – and not just when you forget to turn your mobile data off. Of course there are some cruise lines that offer free Wi-Fi or reduced cost packages, but that brings us to another thing you need to know: don’t embark on a cruise with the idea that the internet at sea will be as good as your broadband at home. It won’t. The ship relies on satellite and if the weather is poor, your internet connection probably won’t be much to write home about either. 3: Should you find yourself at sea and in need of some medical attention, be prepared! Even a visit to the onboard doctor for something as simple as a sprain can leave your wallet or purse several hundred pounds lighter. Before you leave on your cruise, ensure that you have travel insurance from a reputable insurer that specifically covers cruising. It may be an additional cost you hadn’t factored into your plans, but, should anything go wrong, you will be thankful that you bought the policy. 4: Don’t miss the boat! The ship will not wait for you if you’re late. You’ve probably heard people talking about this kind of thing before and laughed it off. It’s true. And that doesn’t just mean embarkation but also shore days during the cruise. Please bear this in mind when making the necessary arrangements to get to your ship for embarkation. And if your chosen cruise line offers included flights and transfers or seats on a coach, take them! This way, if anything is delayed or cancelled, it’s the cruise line’s responsibility to rearrange it all and get you where you need to be. 5: Check the price of your drinks before you sail (or book): drinks on board some ships can be expensive. You can easily find this information online, but, to give you an example, a cocktail on Royal Caribbean can set you back $10, and on top of that there’s a 15% service charge – on every order you make at the bar! So if there is a drinks package available for your selected sailing, consider taking it. It might not seem cheap, but it could save you a small fortune in the long run. 6: If you’re travelling with younger children (and teens), please don’t let them run riot throughout the decks. There’s nothing worse than going on holiday and having to endure someone else’s screaming kids every day. Make sure you enrol them in the kids’ club on day one of your cruise. Then everyone can sit back and relax. 7: Stay calm during disembarkation. Disembarkation can be, well… an experience. Some ships have systems that work better than others, but at the end of the day, everyone is just trying to get to the same place: the baggage reclaim area. Stay calm, think of the wonderful cruise you’ve just enjoyed and go with the flow. The crew work hard to do the very best that they can to ensure a safe and swift disembarkation, but delays do sometimes happen. Patience is key. 8: NEVER discuss the price of your cruise. This is an unwritten rule while at sea that only those that are familiar with cruising are usually aware of. It really is a sore subject. You’ll find two couples having a great time and enjoying a seemingly harmless chat. But then it happens. One couple lets slip that they paid thousands of pounds less than the other couple, got a free drinks package and were then upgraded. It’s all downhill from there.